Although there wasn’t any official announcement, Microsoft delayed the Windows 10 Spring Creators Update that was internally scheduled to launch on April 10. It was known that some technical issue was the reason the unknown release date got postponed. The Insider build 17133 was expected to be the RTM build for Windows 10 version 1803, but the company released the RS4 Build 17134 for Fast Ring insiders. 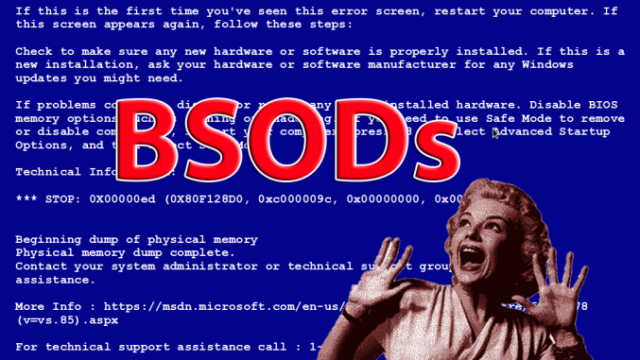 Microsoft didn’t mention what triggered the bug, however, indirectly admitted that it was causing the blue screen of death error. That seems like a fair reason to push the release date. “As Build 17133 progressed through the rings, we discovered some reliability issues we wanted to fix. In certain cases, these reliability issues could have led to a higher percentage of (BSOD) on PCs for example,” said Dona Sarkar in the announcement post. Microsoft chose to create a whole new build instead of pushing the fixes in a cumulative update via Windows Update. Now, the Build 17134 is marked as the final build, sources told The Verge. After landing on the devices of Slow Ring and Release Preview Insiders, it will be released in the coming days, or maybe next month, as Windows 10 version 1803. There have been several hints in the past the Windows 10 version 1803 will be called the Spring Creators Update. A new video clip upload by WalkingCat hints towards an entirely new and convenient name: Windows 10 April 2018 Update. The post Microsoft Reveals Why It Delayed Windows 10 Spring Creators Update appeared first on Fossbytes.